A new team member started working on the same project as me the last week. After checking their first commit, I noticed they mixed refactoring with eclipse auto-formatting. What made this an even worse transgression was that they have a custom maximum character width defined in their editor. I am not against aggressively formatting or refactoring code – except when it is related to critical production code. After reading I came across the following gem on stackoverflow (How to avoid git conflicts when working with a team? from User Christopher) which I quote/steal from. 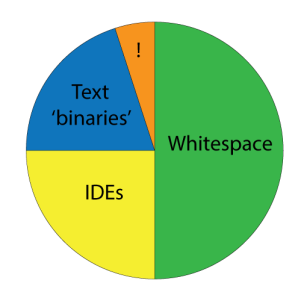 Do we enforce whitespace conventions?automatically finalize parameters. I’m a big fan of stackoverflow and many times surf the featured page that has many questions that have an additional bounty attached. One of the things though that I want to do is quickly find the questions with zero answers that have not received attention due to one reason or another (e.g. very difficult). For the specific URL: http://stackoverflow.com/questions?sort=featured , Below a greesemonkey script just for that!